After it was reported that two of the seven terrorists who hacked to death 20 people at a Dhaka cafe on Friday were inspired by controversial Indian preacher Zakir Naik, the government today said "we don't ban individuals, we ban organisations." One of the attackers, suspected to be Rohan Imtiaz - the son of a politician of Bangladesh's ruling Awami League - posted a message on Facebook last year quoting 50-year-old Naik, a Mumbai-based doctor and an Islamic televangelist, the Daily Star reported. 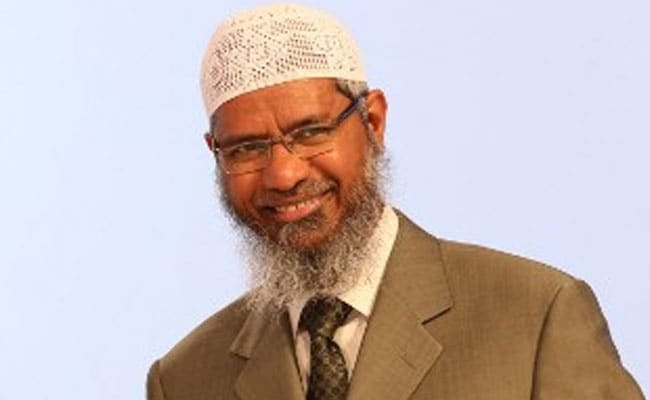 Responding to the report, the home ministry said there is "no formal request" from Bangladesh for Zakir Naik. "We have to have evidence to produce before court for arresting him," Minister of State Kiren Rijiju told NDTV. Naik's speeches are beamed on Peace TV across the sub-continent, even in China, with a 100 million viewership. He is said to be wildly popular in Bangladesh. The founder of the Mumbai-based Islamic Research Foundation, Zakir Naik is banned in the UK and Canada for his hate speeches. He is also among 16 Islamic scholars banned in Malaysia. Naik is known for outrageous beliefs - like homosexuals should be sentenced to death. He also questioned once whether Osama bin Laden was a terrorist. Another Dhaka attacker, 22-year-old Nibras Islam, used to follow two alleged recruiters of ISIS - Anjem Choudary and Shami Witness - on Twitter in 2014. Shami Witness is the Twitter account of 24-year-old Mehdi Biswas, who was arrested in India in 2014. Biswas was charged with operating the "single most influential pro-ISIS Twitter account". Anjem Choudary, 49, is a Pakistan-origin British citizen facing trial in England for breaking the British anti-terrorism law. Choudary allegedly told his supporters to travel to territory controlled by the "barbaric regime" in Syria and Iraq. "This means at least in the case Nibras and Rohan, they did not become radicalised overnight. They have been consuming radical materials for one to two years before finally disappearing in February-March and reappearing as 'IS killers' Friday night at the Holey Artisan Bakery in Gulshan," said the newspaper report.